What is a Chai Wallah? In Hindi, a wallah is someone makes or sells a certain good. Chai means tea. 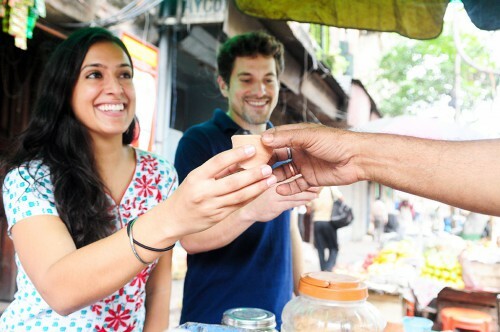 A chai wallah is person who makes or sells tea—or both! But in India, chai isn’t simply tea, a hot drink made with water and leaves. Nor is it a “chai tea latte,” the popular beverage sold at coffee chains that is often made from a concentrate. Chai wallahs in India brew their chai fresh all day, every day, using tea, ginger root, cardamom, cinnamon, cloves, black pepper, and many other spices depending on the region. Since the British helped popularize tea in India, chai wallahs have been setting up stands throughout the country and caffeinating the population, one small cup at a time. A decade ago, chai was barely known to Western consumers. Today, millions order chai lattes at coffee shops, and ready-made mixes line the shelves of supermarkets. But in India, chai is more than a trend. It is an integral part of the rhythm of life, from the deserts of Rajasthan to the seaside megacity of Mumbai to the call centers and factories driving India’s economic rise — a constant, unifying presence in a profoundly diverse country. And behind each cup of Indian chai, whether served in a flimsy plastic cup, earthenware clay pot or silver-plated kettle, is a chai wallah. The same way New York cab drivers might be able to tell the story of the city through their interactions with customers, chai wallahs can tell the story of India in all its complexity. 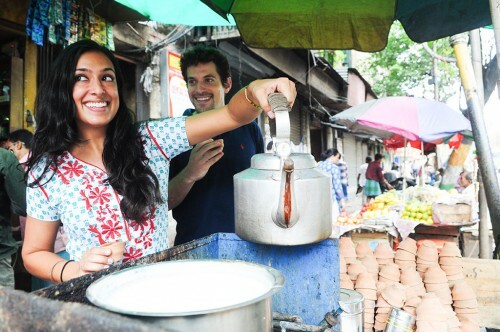 Zach and Resham are collecting stories of chai wallahs from India’s many distinct regions, highlighting the variations in chai culture and the role chai wallahs play in different communities. By documenting how chai is woven into the daily fabric of India, they seek to depict a culture that epitomizes India’s diversity and unity. 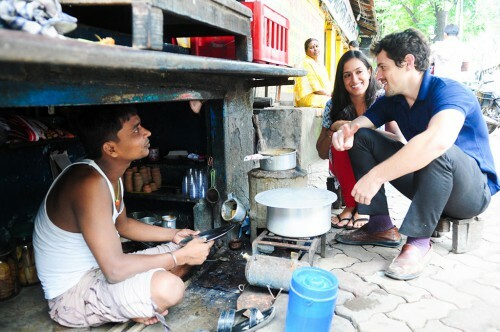 Feel free to reach out with any questions, comments or inquiries to Resham and Zach at info@chaiwallahsofindia.com. Resham is a photojournalist based in India whose photographs have appeared in The New York Times and Time Out Magazine among other publications. 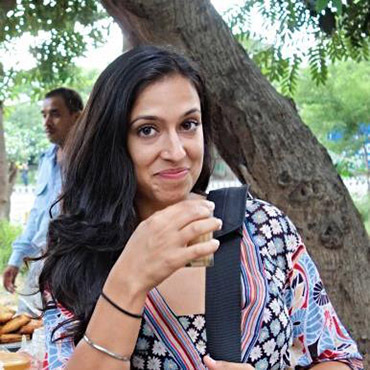 She lived in India in 2010-2011 on a Fulbright-Nehru Fellowship, teaching English at an NGO-run school in the slums of South Delhi and studying bharatanatyam, classical Indian dance. After her fellowship, she conducted psychiatry research at New York University and Icahn School of Medicine at Mount Sinai. She recently co-authored a paper on cultural comparisons of mental health in Argentina and New York. Her fiction and non-fiction pieces, including one about Hawaiian food culture, have been published in her hometown of Honolulu, Hawaii. She graduated from Boston University in 2010. 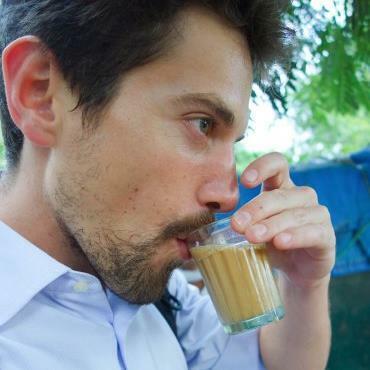 Zach is a journalist based in India where he is a frequent contributor to The New York Times. He lived in India in 2010-2011 on a Fulbright-Nehru Fellowship, teaching English in a New Delhi government school and conducting informal culinary research across the country, chronicling recipes and techniques from various regions. After his fellowship, he worked as a consultant at McKinsey & Co., where he focused on international development and social entrepreneurship, and helped write a report on innovative social finance. He is a graduate of Yale University, where he wrote a food column on culinary creations in college dining halls that was featured in The New York Times.